The Purefoods-Star Hotshots is scheduled for a head-to-head game against the GlobalPort Batang Pier at 5:00 P.M. on March 25, 2017 in Mindanao Civic Center Gym, Lanao del Norte. The Hotshots is looking for a back-to-back games while the Batang Pier is aiming for its first victory in the 2017 PBA Commissioner’s Cup. GlobalPort’s “Golden Boy” Terrence Romeo is set to be back after he missed the opening game against the Alaska Aces last Saturday. 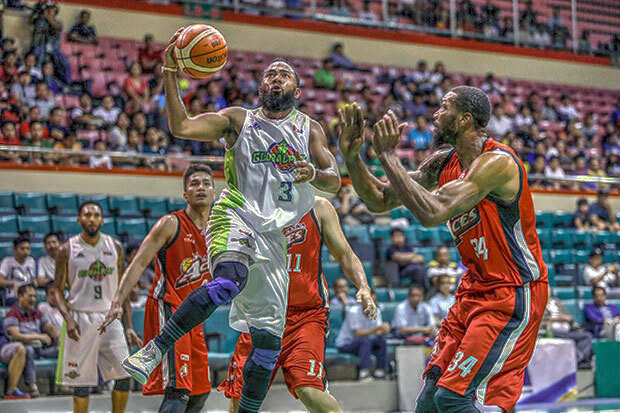 Without Romeo, Batang Pier relied heavily on Stanley Pringle to carry the scoring load although they inserted their rookie Von Pessumal in the starting lineup replacing the Philippine Cup scoring champ. Pessumal have seen influx in his playing time where he logged 28 minutes but only contributed 5 points with 0-of-5 from the rainbow territory. The other half of the “Slash Brothers”, Stanley Pringle was on the court almost 40 minutes and delivered 27 points. Sean Williams got 18 points and 19 rebounds in his PBA debut along with his 3 block shots. Star Hotshots’ mastery with the Phoenix Petroleum Fuel Masters continues this second conference. They have beaten the team of coach Ariel Vanguardia four consecutive times this 42nd PBA season. Hotshots is now on the way on joining Meralco, Alaska and Rain or Shine in the winning column without a defeat. This game with be the first out-of-town match of PBA in this year’s Commissioner’s Cup.